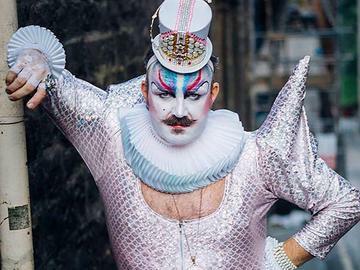 NYC’s internationally acclaimed, cult storytelling sensation, Dandy Darkly, makes his Baltimore debut with his latest fables focused on religion, addiction and social media obsession. Tales include a junkie Persephone, space-puppy Laika, deadly virtual reality and humanity's premier poppycock, Cha-Cha the Caveman! Nothing else like it at the Fringe.